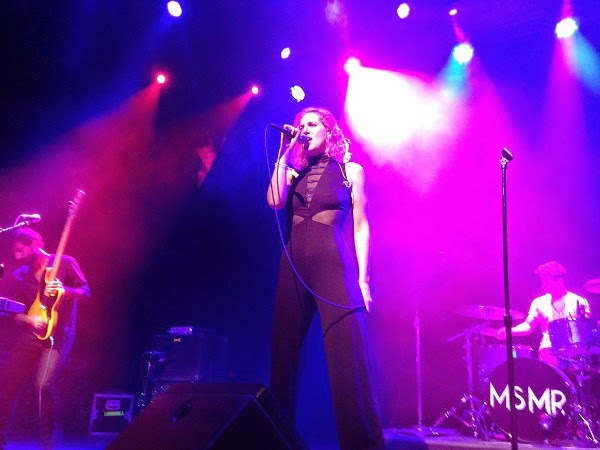 MS MR were great. Their album is really strong, and they were fantastic live. Their first Fillmore show sold out, and probably the only thing that could have made this gig better was a fuller venue, so I'm a little jealous. Nevertheless we had a great time, and MS MR were really friendly: Lizzy didn't stop smiling the whole time. They also made Em very happy by stating upfront that they weren't coming back for an encore - she hates the formulaic charade. It didn't strike me just how much some of their songs sound like Florence and The Machine until I saw them live. We caught about the last 20mins of Jagwar Ma and they were terrible. Really boring trance.